It’s coming to an end with my vegetable garden. I harvested the last of my peppers and found some beauties at the farmer’s market. 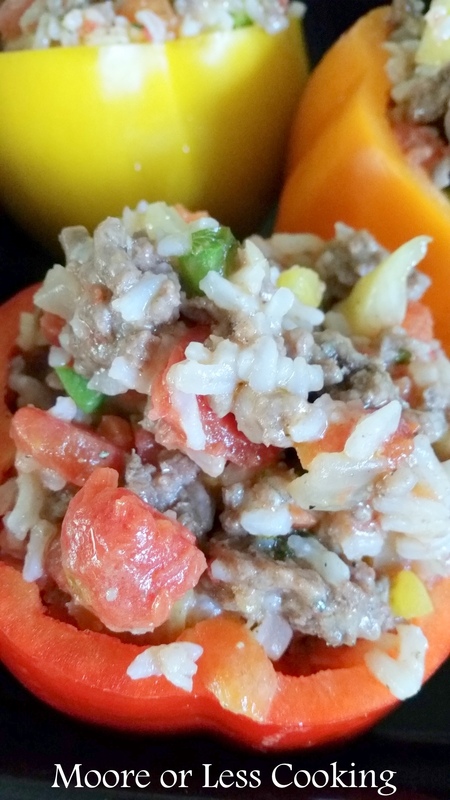 Stuffed peppers are a wonderful fall treat for dinner. I could eat a half of one, hubs liked a whole pepper and a fresh garden salad of kale and Swiss chard. I like my peppers meaty and cheesy with not so much tomato sauce. 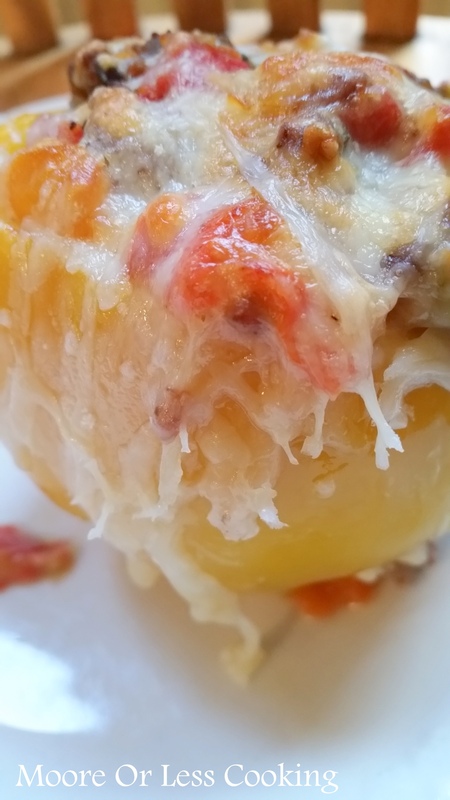 These really are the best stuffed peppers that I have ever made. I couldn’t wait to stuff the peppers and was eating the filling, oops forgot to eat lunch! How does that ever happen? So, please taste the filling and see what it needs, salt and pepper, seasonings, before you fill your peppers. This stuffing is magical! So delicious! 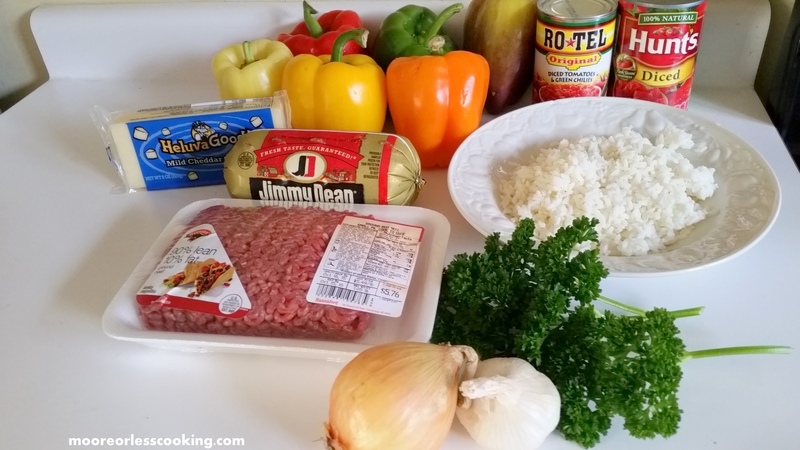 Here’s what you will need to make delicious stuffed peppers! All stuffed now sprinkle cheese over those peppers! 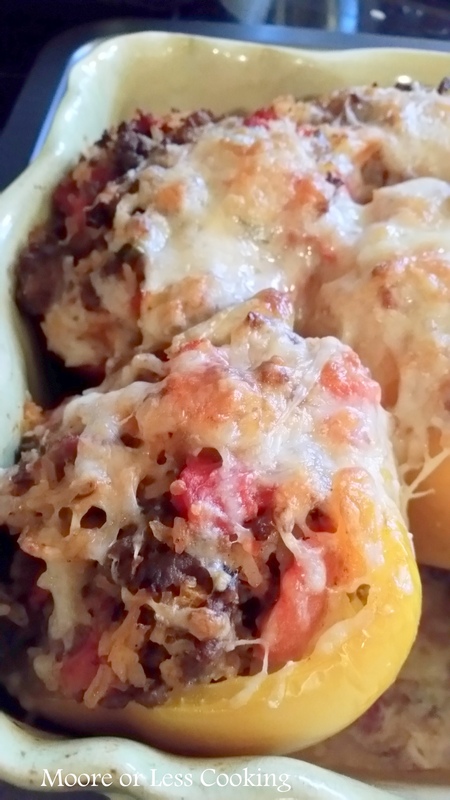 I love my stuffed peppers to be cheesy, especially with my favorite Cabot Cheddar Cheese! Get ready to dig in! Best Stuffed Peppers! 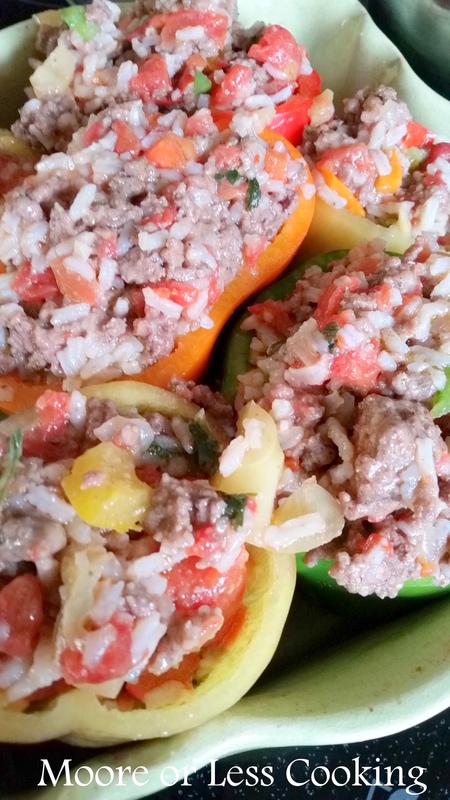 Stuffed peppers with a perfect blend of beef, sausage, rice and veggies. In a large skillet, saute onion and garlic in oil. 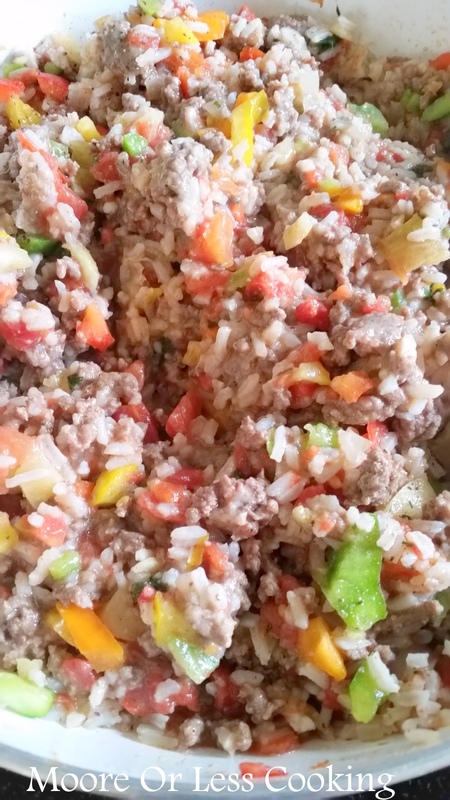 Add sausage and beef, brown, drain fat. Stir in Rotel and tomatoes and ½ cup cheese. Cut off tops of peppers and the scraps of peppers. Place peppers in baking dish, stuff them until they are full. Drizzle Olive Oil over peppers. Cover with foil and bake at 375 degrees for about 40 minutes. Remove peppers from oven and remove foil. 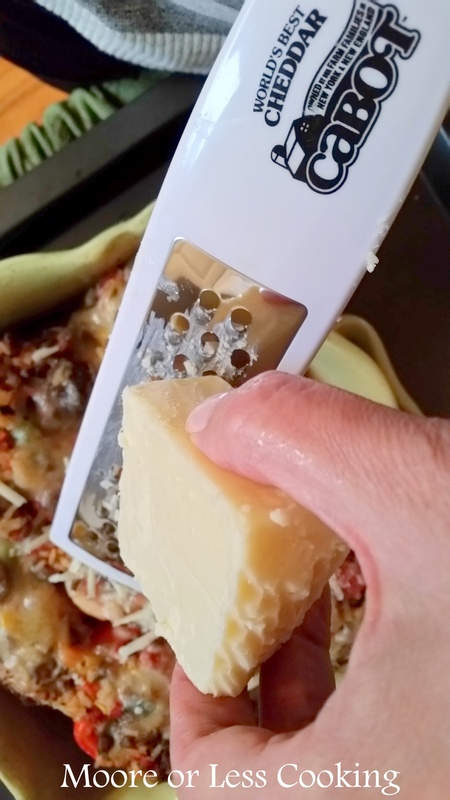 Use remaining shredded cheese on top of peppers, bake uncovered for another 15 minutes until bubbly and golden brown. Wow! Awesome! I just picked about 30 peppers out of my garden. Now I know what we are having!